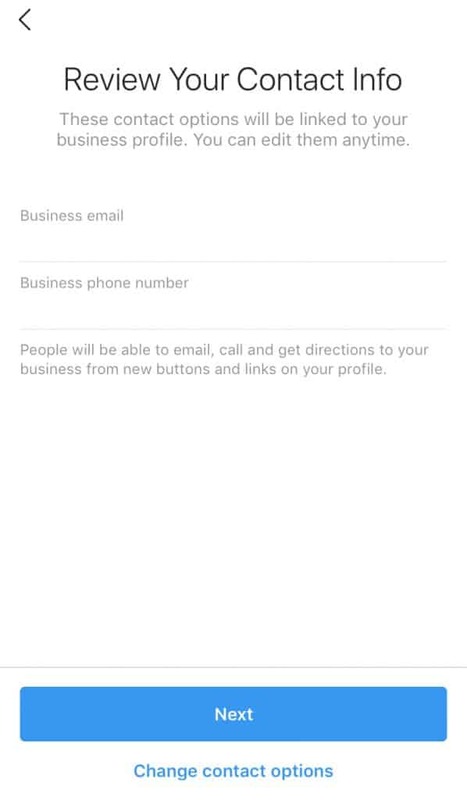 Instagram started rolling out business profiles back in early 2016. A year later, over 15 million users have converted to Instagram business account. However, some brands are still debating whether to make the switch. If you’re using IG for business, you’ve probably wondered if an Instagram business profile is right for you. Will it affect your profile? Will your engagement drop? In the following section, we’ll discuss the unique features of a business account. Plus! we’ll show you how to easily create an Instagram business account should you decide to make the switch. Should You Stick To A Personal Profile Or Switch To An Instagram Business Account? It isn’t the most mind-blowing feature but it is important. 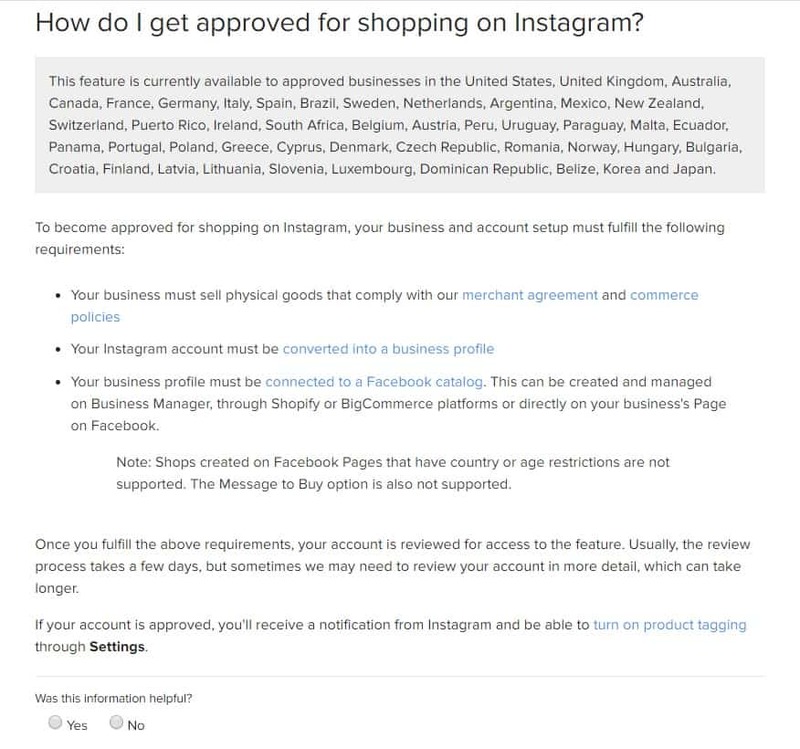 Instagram business accounts can’t be set to private. Technically, business accounts don’t require this feature- especially since they need to be found. However, setting an account to private is also a strategy to grow ones following. If the “Private” feature is crucial to your brand, stick with a personal Instagram profile. 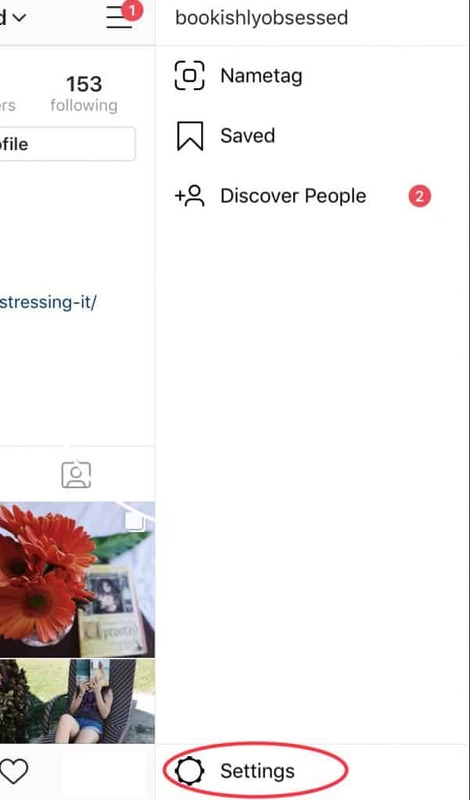 Another unique feature of a personal profile is its ability to link to multiple Facebook pages. 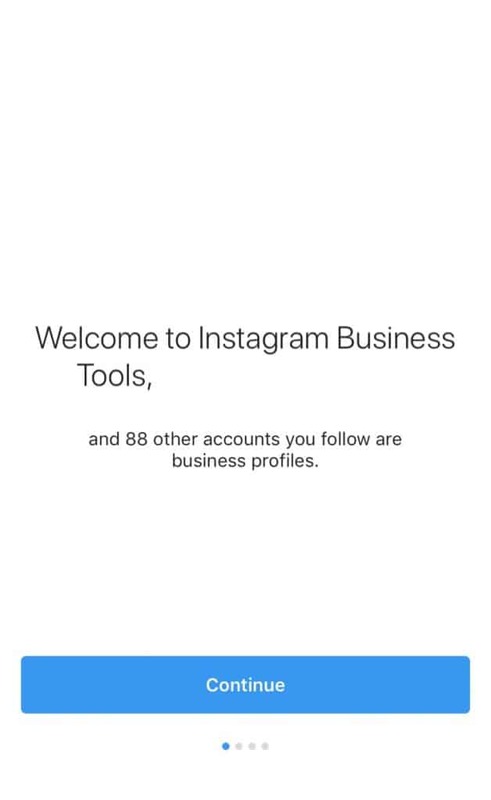 With an Instagram business account, you’ll be limited to one FB profile. 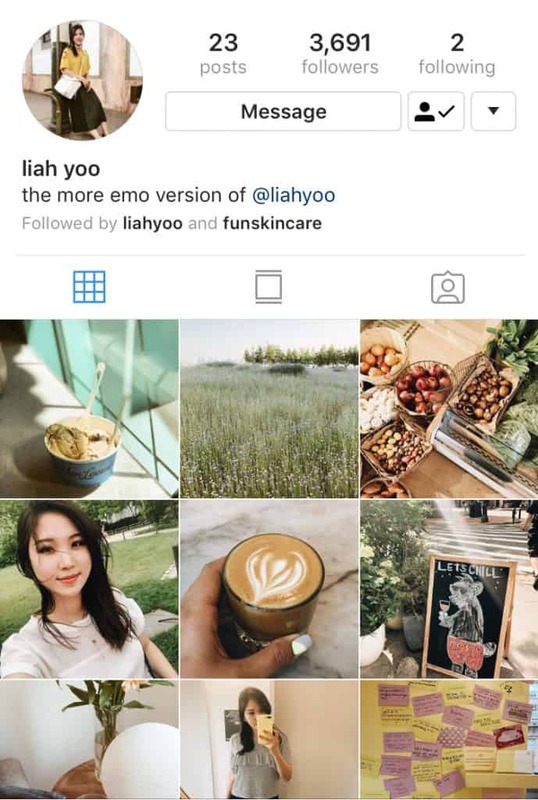 So what can an Instagram business account do for you? An Instagram business account is like a personal profile on steroids. You can still manage your brand with a personal account but why limit yourself? Let your visitors and followers know that your feed is that of a business. Increase organic reach through easy contact information. Additionally, you’d want to have a blue check mark to signify that your account is verified. 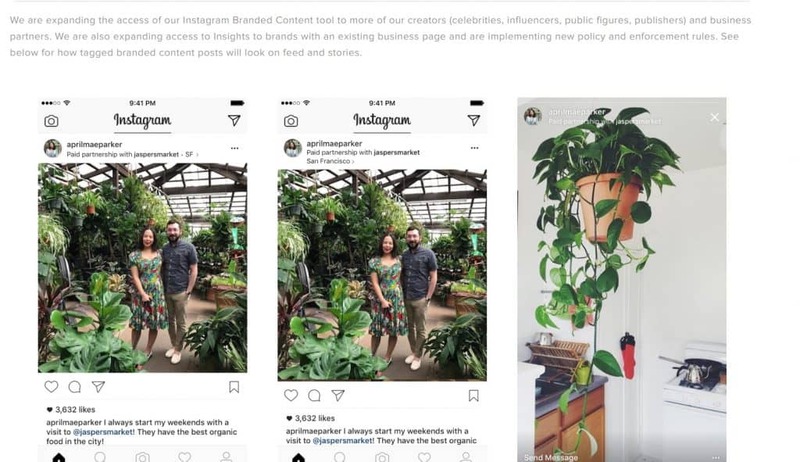 Why Is An Instagram Business Account Good For Your Brand? When you switch to an Instagram business account, you’ll get extra features. This includes contact buttons. Your visitors or followers can easily reach your brand. This simplifies user interaction and support. Make it easy for your customers to get in touch with you in case of possible issues. Customer support must be handled outside your IG feed. In doing so, your comment section won’t be flooded with complaints. This is an essential Instagram business account feature in getting to know your market. A detailed demographic is crucial in creating future strategies. You’ll understand what’s working and what isn’t. Easily measure the impact of your marketing stints. Quickly determine if you need to spice things up. Or fine-tune your campaigns to target a specific audience. As your business grows, you’ll need additional data. 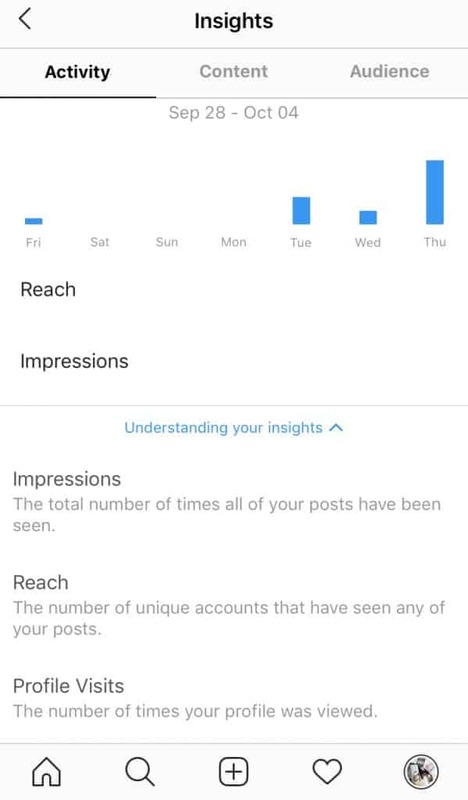 Instagram insights is a great start but you’ll eventually want more. For example, you’ll want to track your most used hashtag for the month. Or you need competitive analysis. For these, consider using third-party tools to get the analytics you desire. Advertising is highly effective in boosting brand awareness. It’s about getting your brand in front of potential customers. 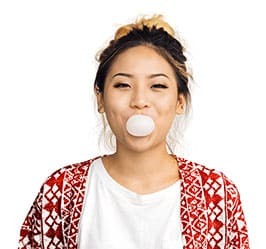 If your target market is on Instagram, it’s time to start running Instagram ads. 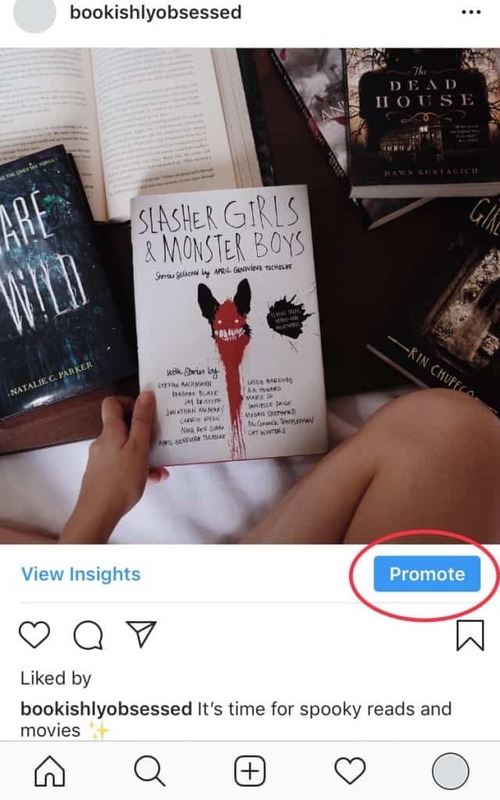 Easily set up, run, and track promotions by switching to an Instagram business account. Run different types of ads to grow your account. 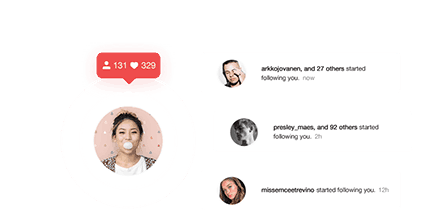 Plus, promote specific posts from within the platform by selecting Promote. 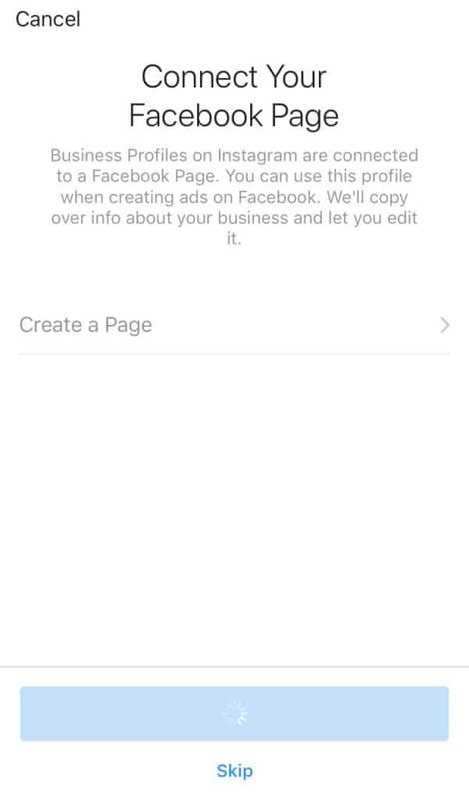 Another option is to build your ads on Facebook and choose where you want to place them. One of the options is promoting on Instagram. Generate sales and build engagement through promotions. According to Falcon, 75% of users take action after seeing a post. Therefore, taking advantage of Instagram’s advertisement format is crucial. Drive traffic and increase sales by adding a link to your Instagram Stories. Did you ever wonder how some accounts have the swipe up feature? You’ll need to have a business profile with 10,000 or more followers to use this feature. Before, adding links is only available for verified users. Simply go to your Stories, take a photo or video or add content from your camera roll. Add a link to entice your audience to click it. Make sure to add a call to action! 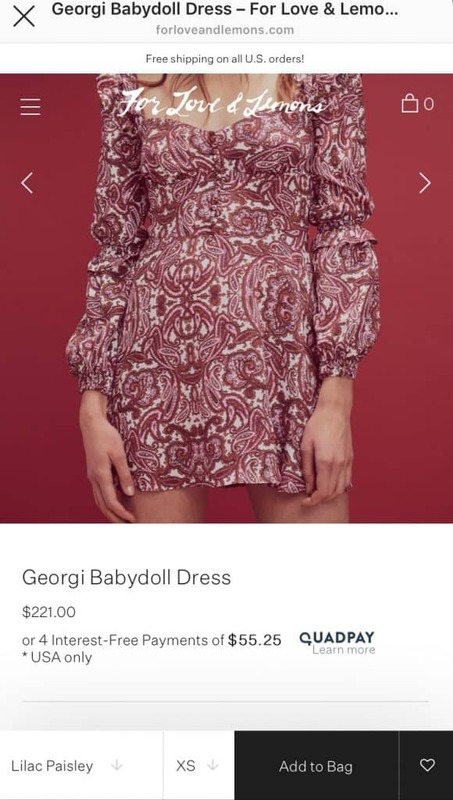 In this Instagram Story, For Love and Lemons encouraged their followers to Swipe Up to shop! Their potential customers are then taken to their website. Including links to your Stories is an effective marketing strategy. IG Story links get 15-25% swipe-up rates according to the brands and publishers that used this feature. 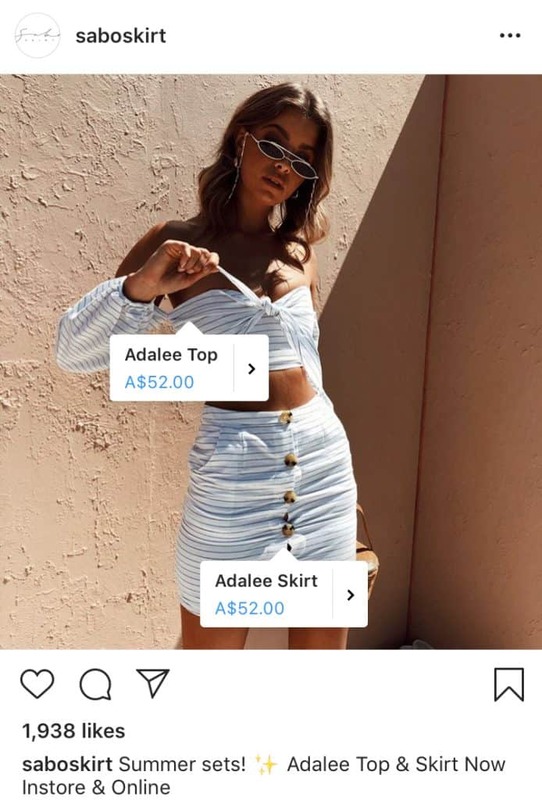 Instagram has launched Shoppable Posts which ignited the interest of users and brands alike. It’s no secret that users go to Instagram to check out product images. The shopping tag feature easily connects business with their potential customers. 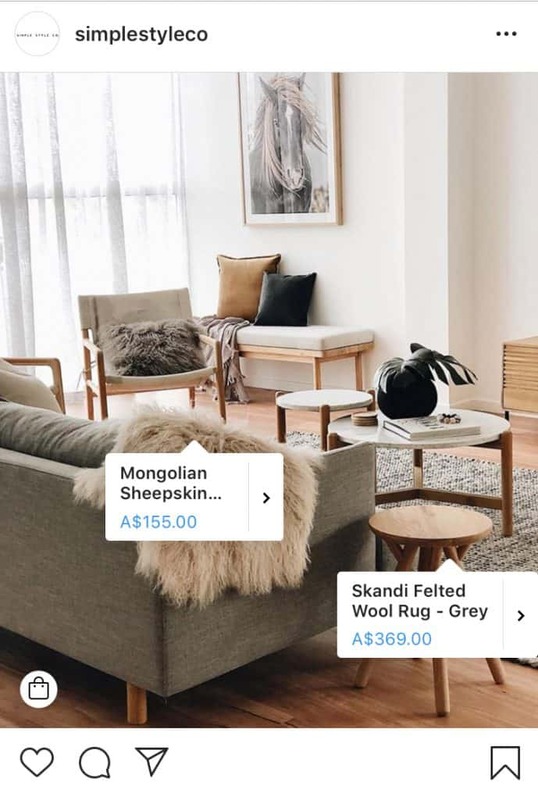 Take a look at how Simple Style Co uses the shopping tag in their feed. Potential customers will easily see how much an item costs with just a tap. 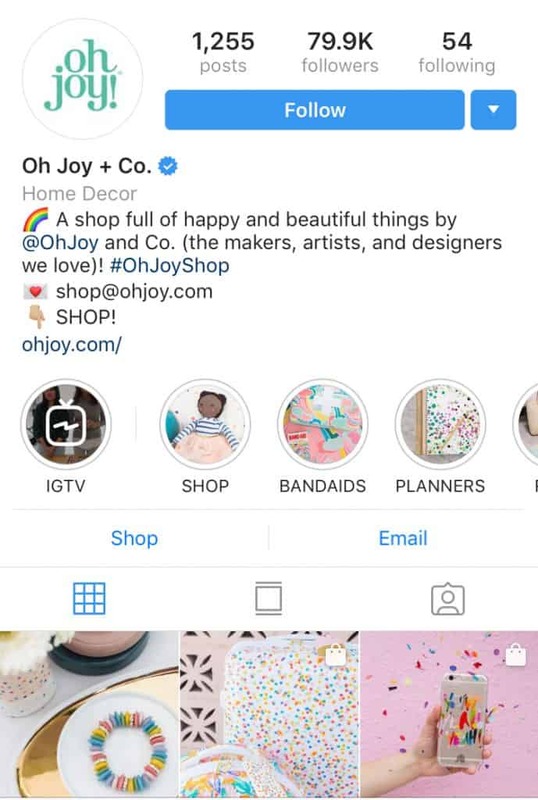 Aside from Shoppable Posts in users’ feeds, your followers also have the option to browse your shop feed right from your IG profile. 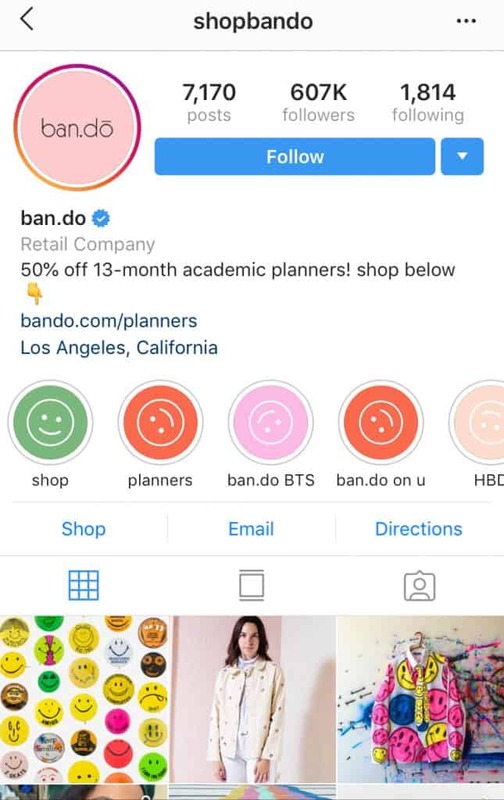 Look at Shopbando’s Shop Highlights. This brings a fun and easy shopping experience for their potential customers. Instagram is taking their time to roll out this feature. This allows users to get used to the idea and not be turned off. So far, users don’t mind the non-intrusive look of the tags. This expansion is crucial for a lot of businesses. 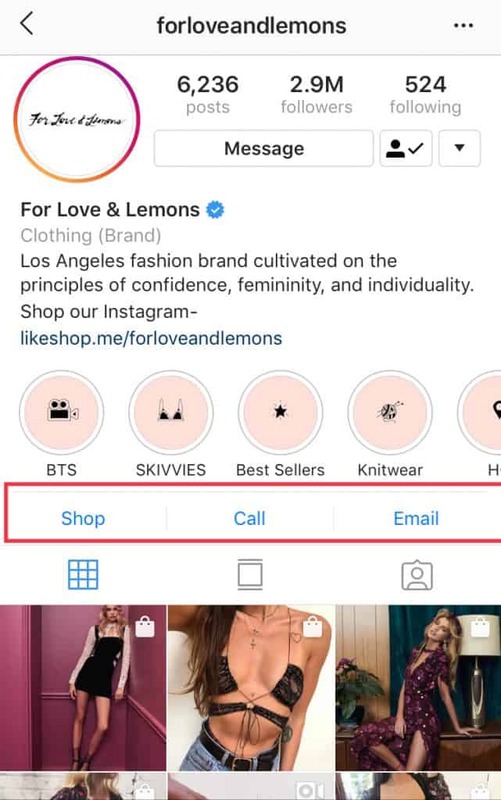 Does your Instagram business account qualify for Shopping Tags feature? Make sure to check Instagram’s requirements first. If you think you fulfill the requirements, submit your account for review. It takes a few days or it may take longer if they need more information. Switching to an Instagram business account has a lot of perks. This includes potentially testing new features early. Instagram usually roll out new features to a chosen few. Having a business profile increases your chance of unlocking more features. You’ll have access to the latest trends IG has to offer. These new tools are essential in growing your engagements. Additionally, it gives you an edge since you’re a step ahead of the trends. So always be on the lookout for new updates. Explore the platform and don’t be afraid to experiment! Collaborating with influencers provides your brand with a greater reach. Easily disclose such partnership with Instagram’s branded content feature. When you work with an influencer, a “Paid Partnership” snippet is added to the content. Grabbed from Instagram Business website. This feature provides insights into the post’s performance. No need to rely on your partners to provide you with data. You’ll get the info straight from your FB account! Is Switching To An Instagram Business Account Worth It? Business accounts provide an excellent marketing experience on Instagram. From getting valuable data about which content performed best or reaching a broader audience with ads. Additionally, you’ll have plenty of features to play with. More importantly, potential customers are looking for you on Instagram. People want to know what you post on the platform. Set up a business profile so you won’t be behind the trend. If a business account isn’t for you, you can easily switch back to a personal profile. Switching to an IG business account is a breeze. It can be done within the app. 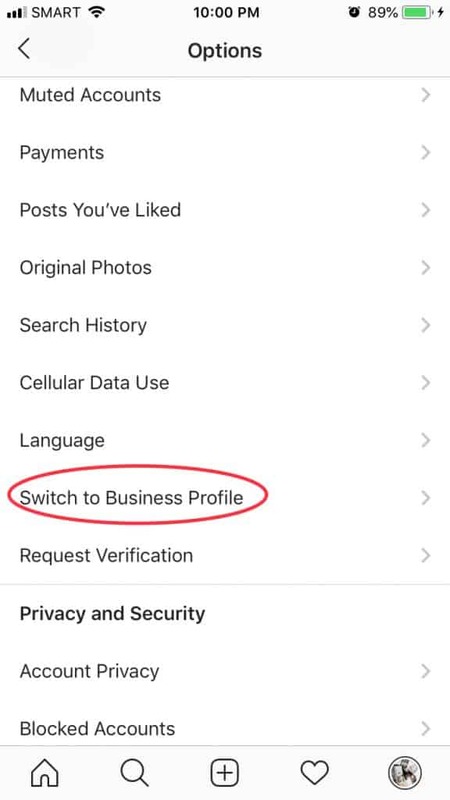 Scroll down and tap “Switch to Business Profile”. 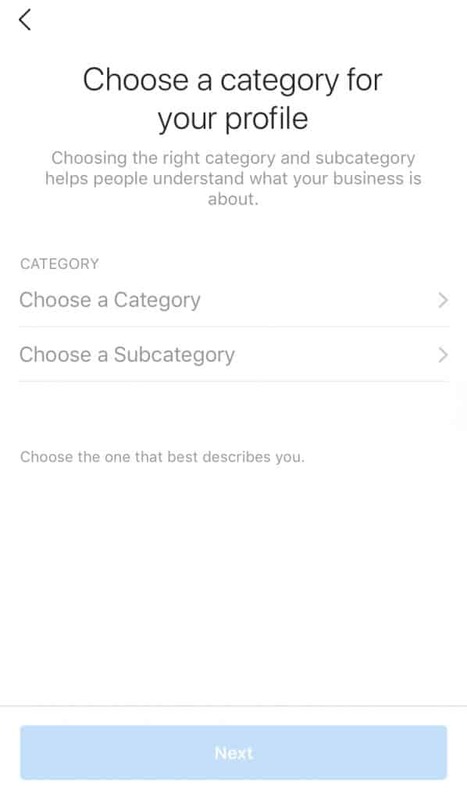 You’ll be asked to choose a category for your profile. Tip #1: Make sure your account is set to public. Private personal profiles can’t make the switch. Tip #2: If you can’t find your business’ Facebook page, make sure you’re listed as the admin. That’s it! Your business account has been set up. Make sure to check your Insights and promote your content.